The best stores in the world are not made from the simple aggregation of the best brands in the world. That is an element, yes, but the best stores in the world require much more. Now more than ever before, global shoppers have many choices of where to get a brand or item, whether online or in person at a store. The experience however, will vary tremendously depending on the virtual or tangible process of shopping. Given a unique, even addictive experience, shoppers will always support the best stores in the world. But what makes them so? Chiefly, it is an attitude of service, openness, and casualness. Genuine, smart people as your sales staff will always attract repeat customers. Relationships matter. Some shoppers will not notice the subtleties of up-selling or dishonesty, but the refined customer will notice them immediately, and return only begrudgingly. And, any instance of feeling that you’ve imposed upon a sales person will immediately kill any buzz you have while shopping, which is in essence a pleasurable high. On the other hand, putting a customer at ease, without the expectation of a hefty sale, can mean the world to both the serious spender and the future fashionista. In addition, to be one of the best stores in the world, a carefully-controlled traffic flow is key. Designated aisles separated and slowed by visual displays keeps everyone comfortable without allowing browsers to push and shove those who need some space to consider and ponder a purchase. 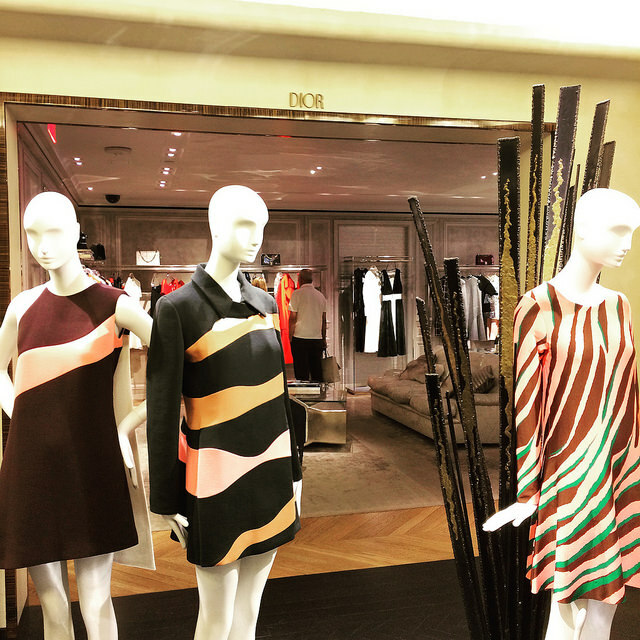 Barney’s New York (Madison Flagship): after some initial confusion over how men’s and women’s was separated on each of its 8 (?) floors, we learned that Barney’s splits its menswear vertically into shoes and accessories, suiting and formal, designer fashion, and then more casual accessible brands (over two floors). Because there are so many brands under its roof, especially little known niche brands, Barney’s makes it easy with way-finding signage on most of its racks with the brand’s or designer’s name. Frankly, Barney’s has the most comprehensive assortment of niche and major menswear labels I have ever seen, anywhere. Staff was pretty nonexistent, but the upside of many floors is fewer people just coming in to look-y-loo. 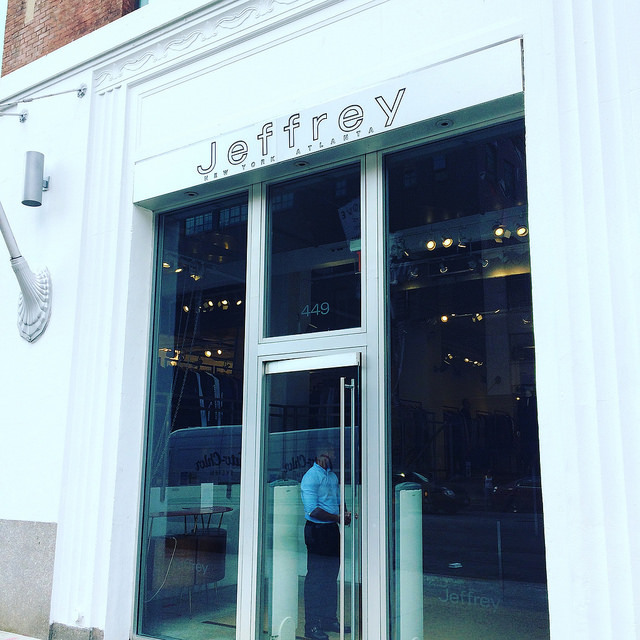 Jeffrey New York – Atlanta (14th Street Meatpacking): few independent stores stock Gucci, Prada, Bottega Veneta, Saint Laurent, or Neil Barrett ready-to-wear for men. Jeffrey has a relatively small mens zone, but one that is nonetheless well curated and only upmarket. To my surprise, the staff was disarmingly friendly and cheerful. I had planned to buy nothing and walked out with an Alexander Wang henley, purely thanks to the pleasant chit chat I made with Mikaela, my Nebraskan sales assistant. 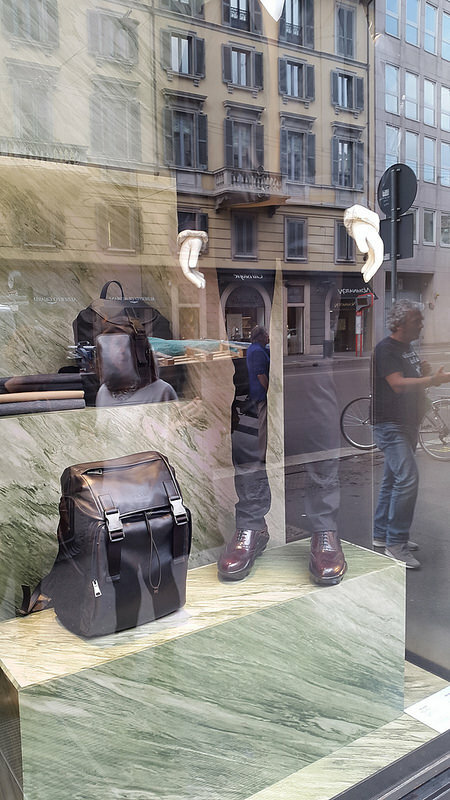 Bergdorf Goodman (5th Avenue men’s store): overzealous salespeople on the first floor in beauty and fragrance, but upstairs, it is a decidedly whisper-quiet environment. Several brands like Thom Browne and Dries van Noten have dedicated hard boutiques, which make for easy navigation. Attentive and courteous staff in each area, ready to pounce, but not uncomfortably. La Rinascente (Milan Duomo): wayyyyy too busy for me on a Saturday. Every floor, every nook and cranny was filled with shoppers, and that did not entice me to try anything on. Lowest mens floor mostly stuffy and boring brands, like Corneliani and Armani, but upstairs was more interesting. 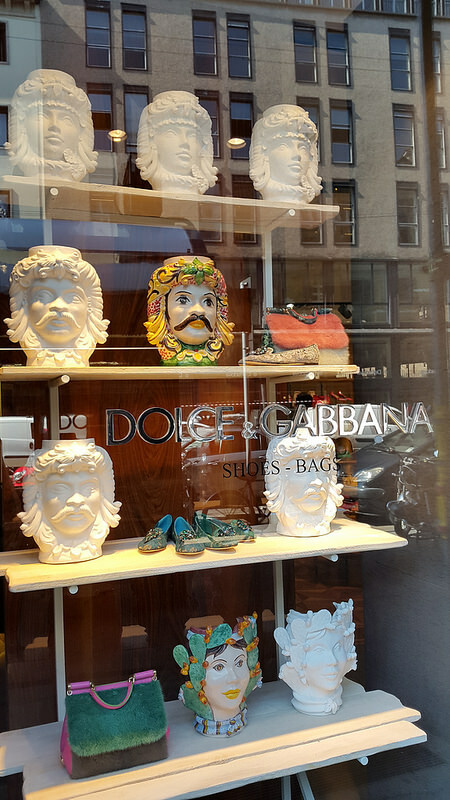 Great hard boutiques for Dsquared2, Fendi, Gucci, Dolce, Tod’s, etc. Still too crazy for me to enjoy myself. Nordstrom (Chicago Michigan Ave): airy, open, newly renovated floorplan but not particularly luxurious or comfortable. More modern and sterile than romantic. Nice staff but also super busy on a Friday afternoon. 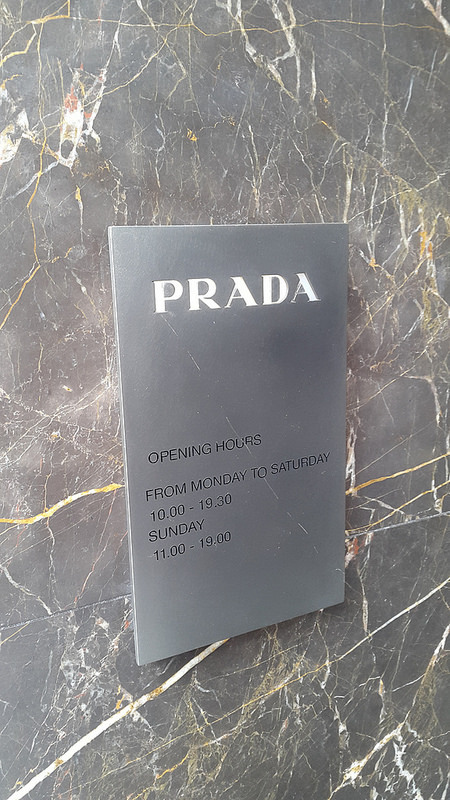 Prada (Milan0, Corso Venezia): not a department store of course, but as far as Prada stores are concerned, this is a sleekly black gloss and wood boutique straight out of a design museum. Even a glassed-in rear room that feels like you’re browsing clothes in the garden. And, very empty, which for me is perfect. 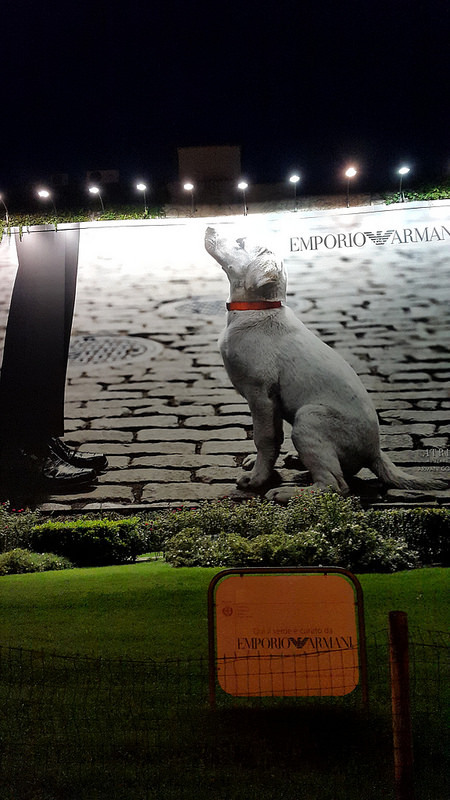 Excelsior (Milano, Galleria del Corso): a concept/multibrand store that I had high expectations for. 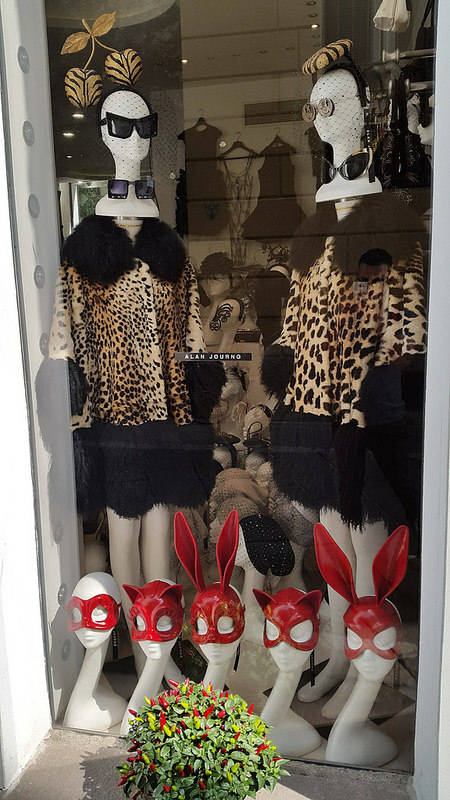 Instead, it feels a bit like an overwrought, derivative Colette (Paris), with areas dedicated to brands like Comme des Garcons, vintage Rolex, Pierre Hardy, Linda Farrow, and oddly, Tiffany & Co. It is at least very futuristic architecturally, like an edgy dance club. Staff: n/a did not interface with a single one! Maybe this is all to say, that one day it would be fun to own my own store. Carry what I find beautiful. In essence, a gigantic shopable closet of Alex’s taste. It cannot be easy, from the supplier’s side, to balance what is high quality, beautiful, and timeless, with what is trendy and profitable. In many cases, I’d imagine that niche brands are harder to move quickly, whereas brands like Hugo Boss and Burberry tend to sell themselves. And, I’d want to carefully control the training and quality hiring for my sales floor. It takes a special appreciation, and depth of knowledge, for a sales person to become an advisor, a friend, even a mentor when it comes to dressing. This would also necessitate a living wage, not necessarily tied to commission. And because I have always been spatially-inclined, a careful consideration of flow, display, and separation of brands. 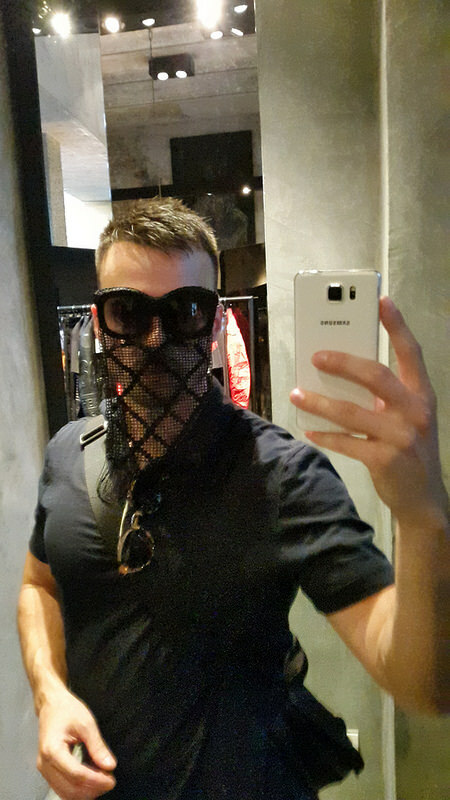 Look forward to more fashion and style posts da Milano in the coming months. Arrivederci!